World Health Organization Urges Removal of Marijuana from Drug Treaties . The World Health Organization (WHO) last Friday published a letter to the United Nations advising that marijuana and cannabis resin should no longer be considered controlled substances under international drug treaties. WHO specifically asked that the substances be moved out of Schedule IV of the Single Convention on Narcotic Drugs, which includes drugs thought to have no therapeutic value. Cory Booker Enters Presidential Race With Call for Marijuana Legalization, Criminal Justice Reform . Sen. Cory Booker (D-NJ) formally entered the race for the Democratic presidential nomination last Friday and called for marijuana legalization and broader criminal justice reforms. There is a need for "changing our drug laws," including "ending the prohibition against marijuana," he said. "We do not have equal justice under the law," Booker said of the disproportionate rate at which black people are incarcerated under the country's drug laws. I believe in redemption." New York Governor Wants Marijuana Legalized by April 1 . Gov. Andrew Cuomo (D) said last Friday he wanted to see marijuana legalized by the state budget deadline of April 1. His remarks came after Assembly Speaker Carl Heastie said that lawmakers might have to wait until after the budget to take up legalization. But Cuomo said Friday he isn't giving up on his timetable and that a lot can happen in the legislature in six weeks. Pennsylvania Legalization Bill Coming . Rep. Jake Wheatley (D-Allegheny County) will file a legalization bill that expunges criminal records for past pot convictions, releases inmates currently serving time for such offenses, and allows people 21 and over to use, buy, and grow marijuana. Vermont Attorney General Supports Legalizing Pot Sales . Vermont became the first state to legalize marijuana legislatively last year but did not legalize marijuana commerce. Now, there's an effort underway to do so with SB 54 , and Attorney General TJ Donovan supports it. "We have to have a regulated market," he said last Thursday. "This is common sense." The bill is currently before the Senate Judiciary Committee. Denver Will Vote on Magic Mushroom Initiative in May . City officials announced last Friday that the Decriminalize Denver  initiative to make adult use and possession the lowest law enforcement priority and bar the city from using its resources to arrest and prosecute people for the hallucinogenic fungi has qualified for the ballot and will go before voters in the May municipal election. 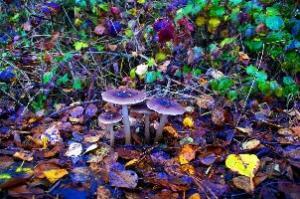 This marks the first time any jurisdiction in the US will have voted on decriminalizing psychedelics. Trump Administration Unveils National Drug Control Strategy . The White House last Thursday released its long-awaited National Drug Control Strategy , which typically is released annually, but which the Trump administration failed to do last year. The document contains little new policy but instead emphasizes existing Trump priorities: reducing drug supply through stricter law enforcement, lowering first-time opioid prescription rates, and expanding access to addiction treatment. Despite its emphasis on supply reduction, it acknowledges the risk of reducing access for chronic pain patients. Although it talks about drugs coming across the Mexican border, the strategy does not contain the words "border wall." North Dakota School Board and Employee Drug Testing Bills Die . A pair of bills that would have mandated random, suspicionless drug tests for school employees and school board members have been killed in the Senate. SB 2310  was aimed at school employees, while SB 2337  was aimed at board members. Mississippi Bill Targets People Who Provide Drugs in Fatal Overdoses . After a conviction for "depraved heart" murder in the case of a fatal overdose was overturned on appeal, state legislators have filed HB 867 , which would allow sentences of 20 years to life without parole for people charged with selling drugs that result in the deaths of others. The bill would also increase penalties for the sale of heroin or fentanyl. The bill passed out of the House Judiciary Committee last week and is now headed for the House floor.